Debuting in July, the public service announcement (PSA), which will appear in print, digital, radio, and broadcast media, highlights the incredible work being done by today’s leading cancer researchers and stresses the importance of supporting innovative research. The powerful PSA, which features Jennifer Hudson and Genentech senior scientist Shiva Malek, Ph.D., notes the similarities between the worlds of art and science — reinforcing how much can be accomplished when we work together. The “Two Worlds. 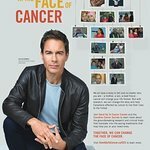 One Dream.” campaign charges everyone — from doctors and scientists to artists to patients and survivors — to unite in the fight against the collection of diseases known as cancer, which take the lives of nearly 1,600 Americans every day. 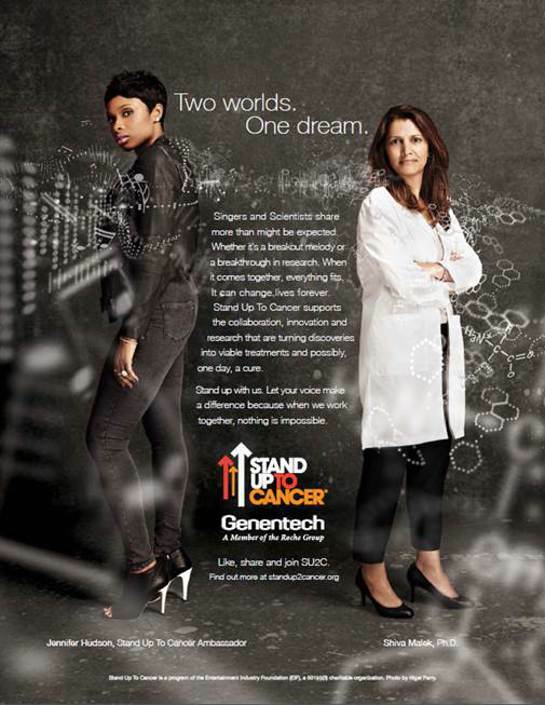 For more information on the campaign, visit standup2cancer.org.